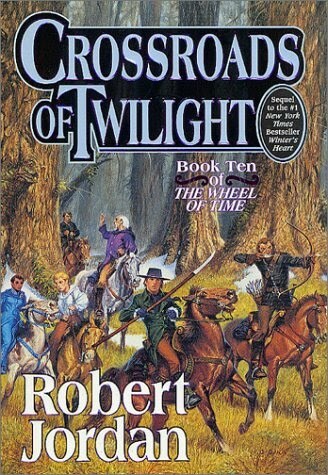 The Wheel of Time “Winter’s Heart” and “Crossroads of Twilight” – A Christian Reflection | J.W. Wartick -"Always Have a Reason"
Robert Jordan’s epic fantasy series, “The Wheel of Time,” has much to reflect upon from a Christian perspective. Here, I’ll be examining books nine and ten, “Winter’s Heart” and “The Crossroads of Twilight.” There are SPOILERS from both books here. Please do not share spoilers from later books for the sake of readers. However, the guardsman apparently was scarred–from some previous conflict. Moreover, the pages preceding this quote and afterwards spoke of how violence continued whenever the Guards were not immediately in sight. Yes, it may have been thwarted to some extent, but people still found ways to fight and murder. How is it that in a place which attempted so much to restrict violence, violence was perpetuated? It seems that it is because people continued to find ways to do violence, despite said restrictions. The world is in need of redeeming from its own self-centeredness and focus on doing harm. The quote speaks to a kind of deism found in The Wheel of Time. The Creator laid down the pattern, which continually repeats throughout history. It weaves as the Creator willed it. But the Dark One continually tries to make the pattern “fall into the shadow.” One wonders, then, whether Rand al’Thor is correct here. After all, the Creator has held off the Dark One from utterly overthrowing the Pattern–perhaps only through setting it up in such a way that it could correct things. But even that much foresight refutes the notion that the Creator would not have cared whatsoever about the suffering of men cursed to insanity. I look forward to seeing how theology develops in the Wheel of Time as the final battle approaches. The notion of fatalism is prevalent throughout the series, but one wonders whether it will hold sway. After all, it really does appear as though some people are able to change things for the better or worse, even working against the Pattern (or going outside/beyond it). These themes hare found in many discussions outside of the world of fantasy. Is God so distant that we may not approach Him? Are our destinies simply wrapped up in uncaring fate? Can we stop violence by taking away all weapons? These are questions which speak to moral and transcendent spheres of reality, and interaction with them is beneficial. The Christian view would note that the “Creator” in fact cared so much about creation–each individual–that God sent the Son to redeem the world. It’s a powerful message–one which goes beyond that found in the world of fantasy and takes us into a new plane of reality in which we are redeemed people living in Christ. We need not worry about fatalism or the possibility of evil overcoming a plan simply wound up and left to unravel. Instead, God intimately cares for and about each individual. Robert Jordan, Winter’s Heart (New York: Tor, 2000). Robert Jordan, Crossroads of Twilight (New York: Tor, 2003). « Sunday Quote!- Can Adam be (merely) a federal head?